In 2017 the Victoria Welsh Choir, with Musical Director Faleiry Koczkar OAM on the conductor’s podium, presents a gala matinee concert of Welsh and Celtic music featuring their trademark soaring four-part harmony and rousing male choral singing. A special part of the concert will be the world première of the choir’s commissioned work Land of my Song. Using extracts and themes from choristers’ own writings, the composer Paul Jarman has forged a powerful work that deals with the heartache and longings many Australians feel for their old country or for their childhood. Paul will personally conduct this new work as well as his famous song, Pemulwuy, which has been enthusiastically received by audiences both here and overseas. Victoria Welsh Choir also welcome back the female quartet Co-cheòl who were adored by the audience at the 2016 concert. They have been very active, singing at numerous festivals around the country and have successfully launched their first CD called Stay A While. 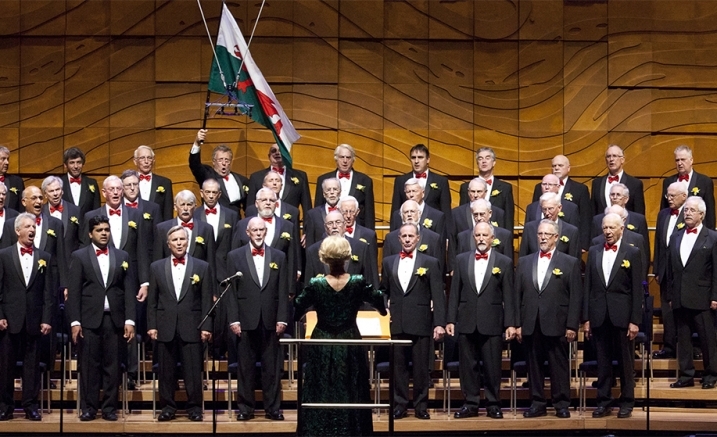 A late addition to the line-up is the Geelong Ladies Welsh Choir, an experienced touring choir who are lead by their founding Musical Director, Jeanette John. As Jeanette is shortly to relinquish this role, the St David’s Day concert will be an opportunity to salute her contribution to Welsh music and culture in Australia.